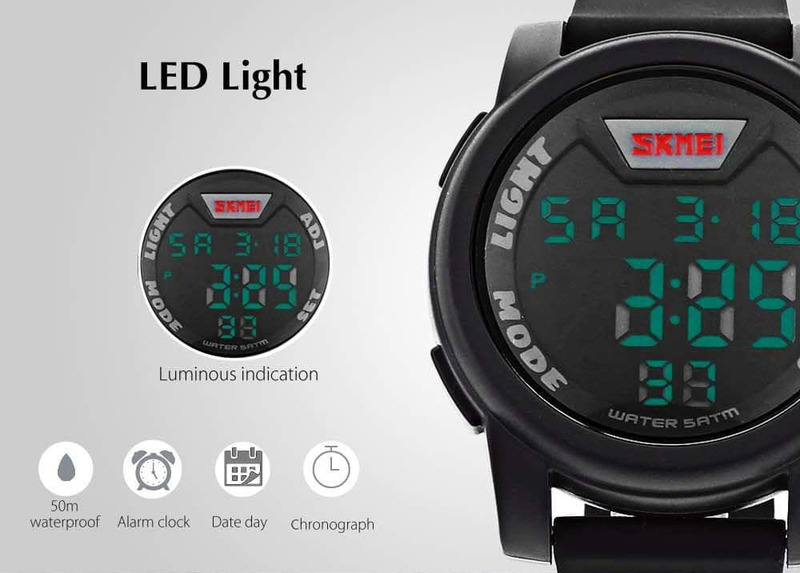 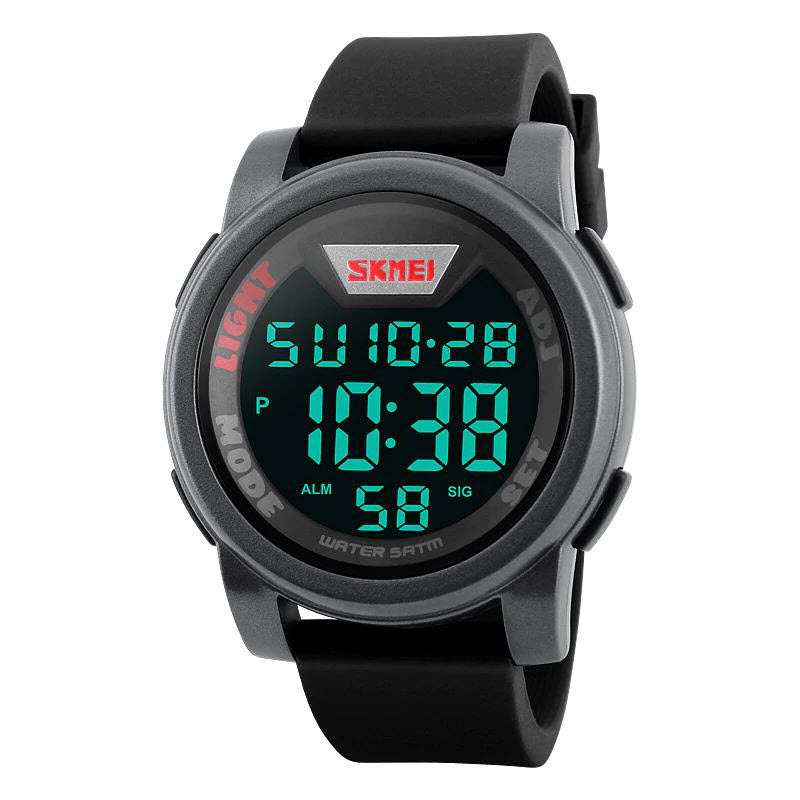 LED digital watch, gives you intuitional vision, easy to read time even in darkness. 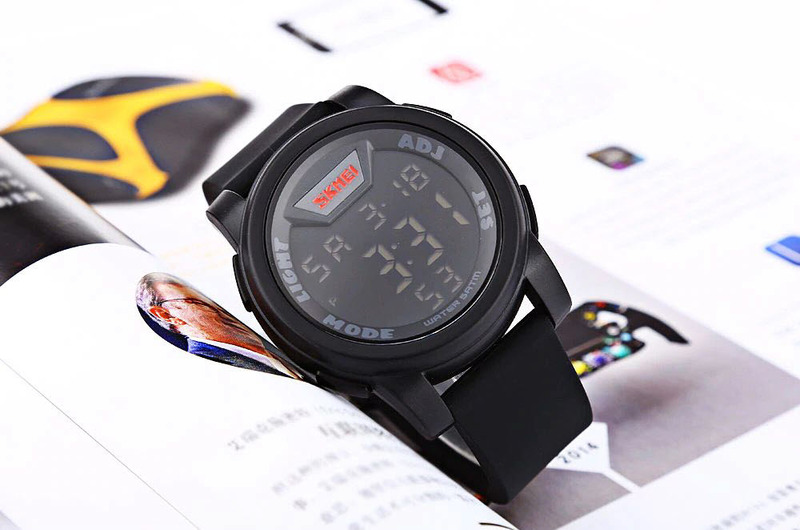 With date, day, chronograph, alarm functions, no need to swipe your phone to check time again, convenient for your daily life. 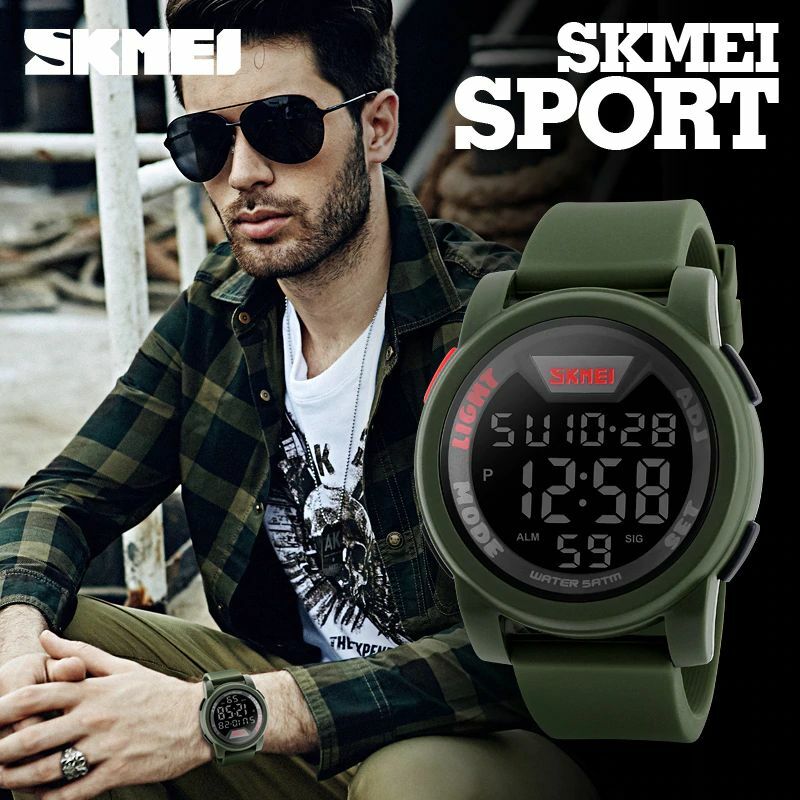 Large dial shows your manly charm. Glass mirror, much harder and safer for your watch window. 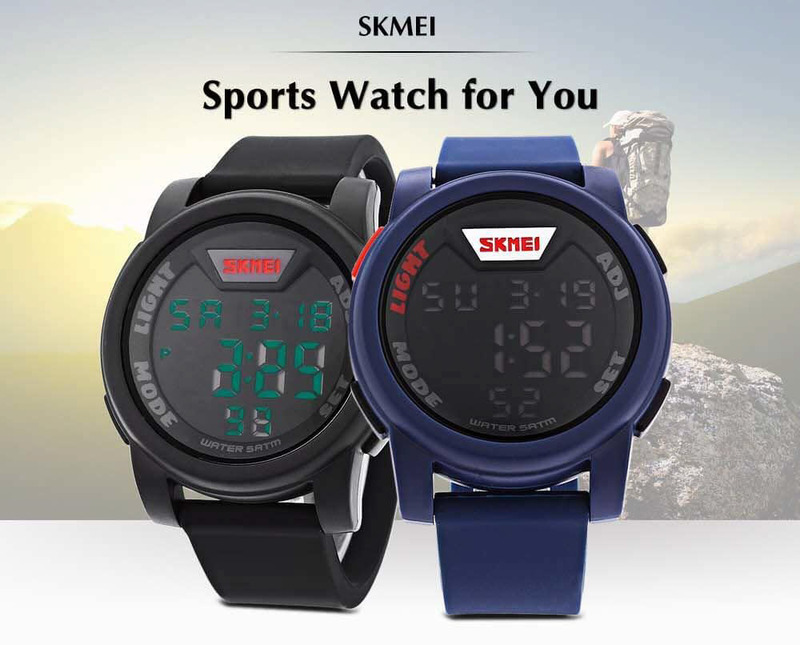 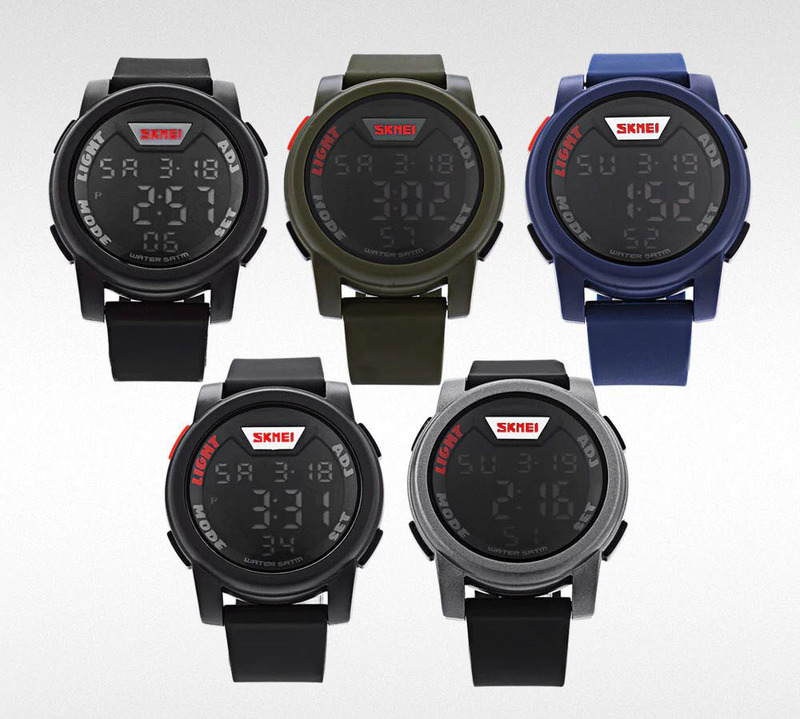 50m water resistance, you can enjoy your daily life without worrying about splash or rain, except for swimming or sauna, etc. 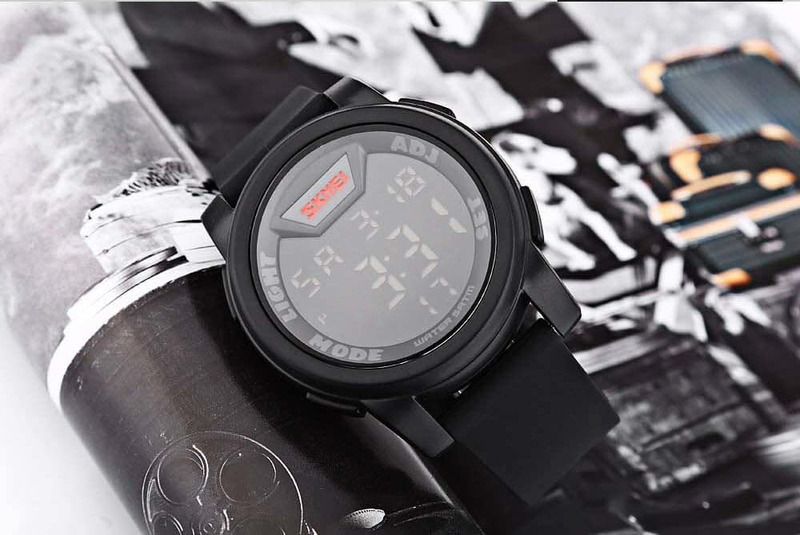 Silicone band, comfortable to wear, classic pin buckle, simple but safe, easy to handle and not easy to fall off accidentally.